Reduction in hoop steel. The steel calculated in step 3 is for 1m height from the bottom of the water tank. The pressure of water decreases at the top. Hence, steel can be reduced by keeping the same thickness of wall. 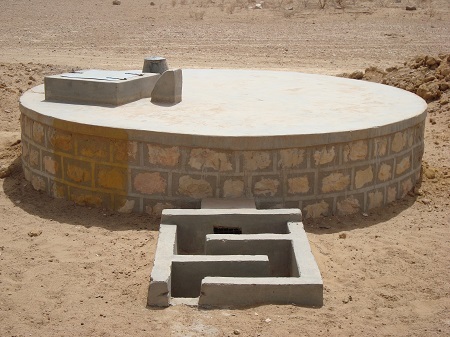 We will also do some good examples for the circular water tank in our succeeding articles. 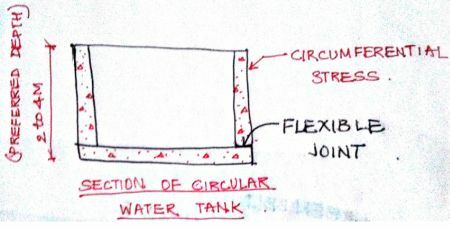 Why all of the water tanks are circular/cylindrical in shape even if it is challenging to design as compare to rectangular section. Thanks for the easy steps for design of ring beam. But if you have a ring beam 100m dia and 15m depth. Do we need to consider the cantilever action with Hoop tension? If required than how do we optimise the force distribution for hoop tension and cantilever moment? Your site is very useful for graduate engineer. can you please help me to design a steel scaffold. M much helped by this design steps ..4 my xam..
We are currently operating few civil projects in and bangalore, karnataka state, India. Your simple details of structural design gives us more hope in executing our projects. You please kindly provide us with more information on structural designing. 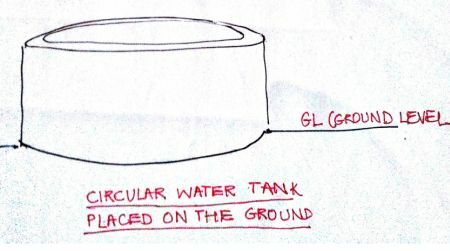 Thank you for your information about ” How to design Circular Tank”. f ct(permissible tension in concrete), this value is less than 0.5 fr (modulus of rupture). The result amount of Ast is very little. Is there any minimum amount of Ast for hoop reinforcement ??. Am glad to recieving new posts from your blog, the design provcedures for designing circular tans helped me so much in group project in which we designed an under groung cistern for rain water harvesting. could you kindly send me the design procedures for designing a bridge which i want to undertake in my final year project. assuming we have rain fall data, survey information and soil test results. We are glad our site has been helpful. We will try and work on the design procedure for bridges. Keep visiting.